You’ve done your homework and you know the advantages of building your site on WordPress. 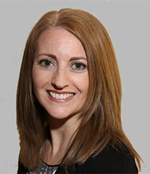 You’ve even carved out some time to tackle your website development on your own. But how and where do you start? What steps need to be taken and in what order? Do a search on how to set up a WordPress site and you’ll find an abundance of articles on the subject, but a lot of them don’t cover the basics or are overly technical. So if you’re looking for an easy-to-understand WordPress tutorial on how to create a WordPress website, read on. Whether you choose to build your site on WordPress or some other platform, the first and most important step in setting up any website is coming up with a plan. While this may seem like common sense, you’d be surprised by the number of people who bypass this important step and attempt to jump right into development. This should be enough to start creating your site’s content, although if copywriting isn’t in your wheelhouse, you may consider hiring a freelance writer. It’ll be money well spent if you want your site to appear polished and professional. Also, if you don’t yet have a logo or brand image for your site, now would be a great time to hire a graphic designer to create one for you. If you haven’t already purchased a domain name for your site, come up with a list of some available options. For SEO purposes, make sure your domain name choices include your company, organization, or brand name and/or give some indication of what types of products or services you provide. While there are many domain name extensions available, it’s best to stick with the basic .com, .org or .net extensions. Extensions such as .guru or .pro may look cool, but they probably aren’t worth the risk of confusing potential customers who are accustomed to typing in .com. Also, when you do zero in on a domain name that you’d like to use, hold off on purchasing it for now, as many web hosts include a free domain name with the purchase of a hosting package. Plus, having your domain name and website in one place means one less account to manage and password to remember. Although there are many different web hosts that provide WordPress hosting packages, they certainly don’t measure up the same. Make sure you choose a reputable host that provides 99% uptime, a simple-to-use interface, and 24/7 support with a quick response time. For the best WordPress hosting packages, we highly recommend Bluehost or SiteGround. Both of these web hosting providers have solid support teams, provide 1-click WordPress installation, and offer a free domain registration with their hosting plans. Click on the images below for special pricing*. Once you’ve made your selection, go ahead, set up your hosting account and grab your free domain name. If you choose to go with SiteGround or BlueHost as your hosting provider, this step is a lot easier than it sounds. Log into your hosting account and access your cPanel. From there you should see a WordPress Installer button. Click on that and go through the required steps in setting up your site. Be sure to make a note of your admin login credentials so that you’ll be able to manage your site! 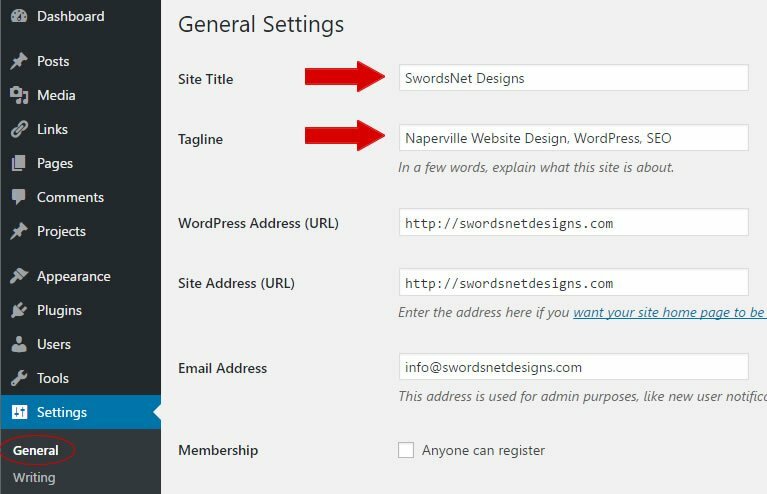 Once you’ve got WordPress successfully installed, log into your site at yourdomain.com/wp-admin, using the login credentials you set up during installation. If you have any issues signing in, contact your host’s tech support team. They’ll be able to help you troubleshoot. WordPress relies on themes to provide the overall structure or framework of your site, so the next step is choosing one that best fits your needs. From your WordPress dashboard, click on “Appearance” > “Themes” > “Add New”. There are thousands of beautiful free themes available, so be sure to use filters in order to make your search more productive. You can do this by clicking on “Feature Filter” and selecting the specific elements that you’re looking for. Keep in mind that although the free themes look great, they don’t typically offer as many bells and whistles as the paid themes. So if you want more customization options to truly make your site original, you should consider purchasing and uploading a premium theme instead. This minimal investment could end up saving you a lot of time in the long-run. Once your theme is installed and ready to go, it’s time to start customizing! The first thing you’ll want to do is navigate to “Settings” > “General” and add a site title and tagline. Also, make sure the admin email address is correct on this screen so that the right person gets important notifications about your site. To begin changing the look and feel of your site, access your customization options through the admin panel under “Appearance” > “Customize”. From here you can choose specific fonts and colors, as well as add your logo or other images. Images can be uploaded to the site by navigating to “Media” > “Add New”. As a side note, WordPress has a default setting that sets your blog post listings page as your home page. If you’d rather have a static page set up as your home page, you can make that change under the “Customize” menu as well. 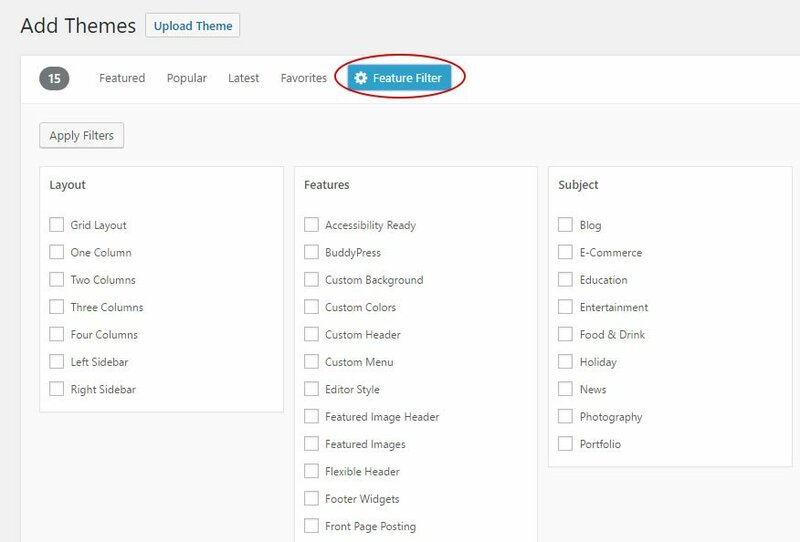 Another means of customization within WordPress are widgets, or containers within the sidebar and footer of your site where you can add pieces of content. You can set these up by navigating to “Appearance” > “Widgets”. Simply drag and drop the available widgets into the specific area where you want them to appear. Depending on what functionality you’re looking for, you’ll want to add the appropriate plugins to your site. Plugins are free, but some also have premium versions that provide more features. Plugins can be added via your WordPress panel by clicking on “Plugins” > “Add New”. By the way, if you’re not sure what plugins you need, we have some suggestions. Refer back to the outline you created in step 1 and begin adding pages to your site. You can do this by clicking on “Pages” > “Add New”. Give each page a title, a page name, and then add your content accordingly. After you have your pages set up, you’ll want to create and implement the navigation for your site. To do this, go to “Appearance” > “Menus”, and then add the pages you’ve just created to your main menu. You can reorder and rename the menu options as you wish, as well as create different types of menus, such as a pared-down version for the footer or sidebar. If you’d like to create a blog for your site, you can add posts by clicking on “Posts” > “Add New”. Continue to add your pages, posts and images until you get everything built out to completion. While the intention of this article is to provide you with some guidance in getting a basic site set up, there’s a lot more you can do with WordPress in order to make your site an engaging and powerful marketing tool for your business. Consider your website a work in progress. Start basic and continually make improvements by adding features and functionality as your needs become clearer. If you need more in-depth detail on how to navigate your WordPress site, there are some tutorials on the WPBeginner site that you may find helpful. And as always, if you have any questions, drop us a line, we’re here to help!